Montblanc has launched Legend Special Edition 2014, a new limited edition flanker to 2011's Montblanc Legend for Men (see also: Legend Special Edition 2012 & Legend Special Edition 2013). Special Edition is a new fresh, invigorating interpretation of Montblanc Legend for the confident man looking for a new icy adventure. The Fragrance echoes the refined notes of the signature Legend Pour Homme, with Bergamot, Lavender, White Cedar and Oak Moss. However, adding a fresh twist, the Special Edition opens with sharper notes Lime and Spearmint, evolving with crisp Green Apple and spicy Cardamon in the heart, and woody amber notes in the base. 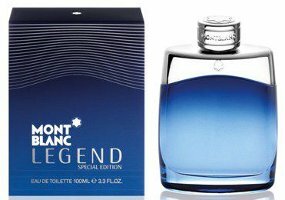 Montblanc Legend Special Edition 2014 is available in 100 ml Eau de Toilette, and can be found now at House of Fraser in the UK, £52.